During the school holidays, both Hubs and Bubs have been looking at me expectantly for me to come up with a game plan to keep everyone happy and tear-free. 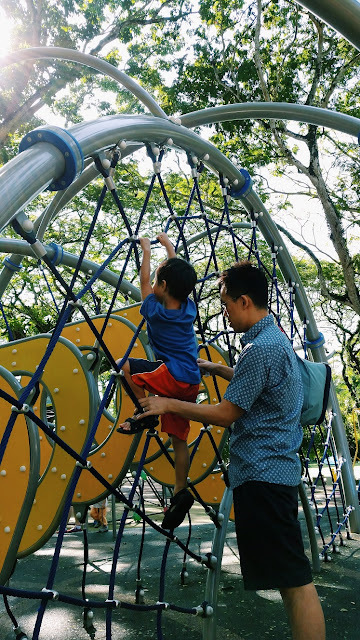 I've racked my brains, read lots of blogs (what's new :P) and even Google-d for things to do in Penang - yes, I'm a sorry excuse for a Penang lang. 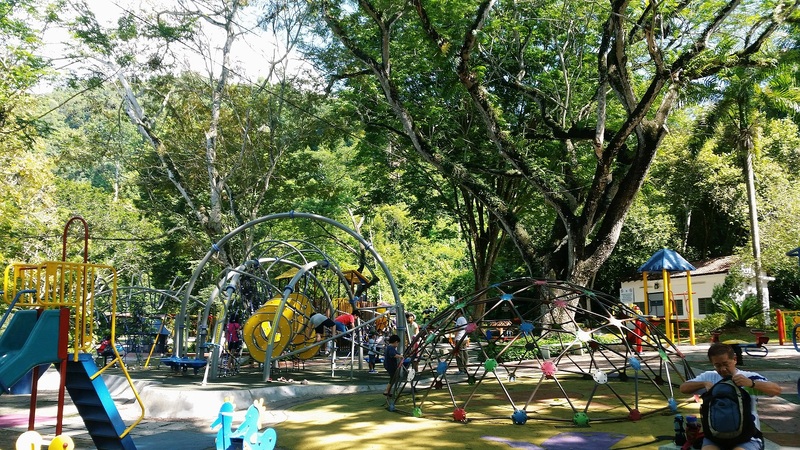 Then I realised something super obvious: all children want is to just play. So we headed over to the Penang Youth Park where generations of children have romped and frolicked. Hubs have fond memories of playing there together with his siblings. 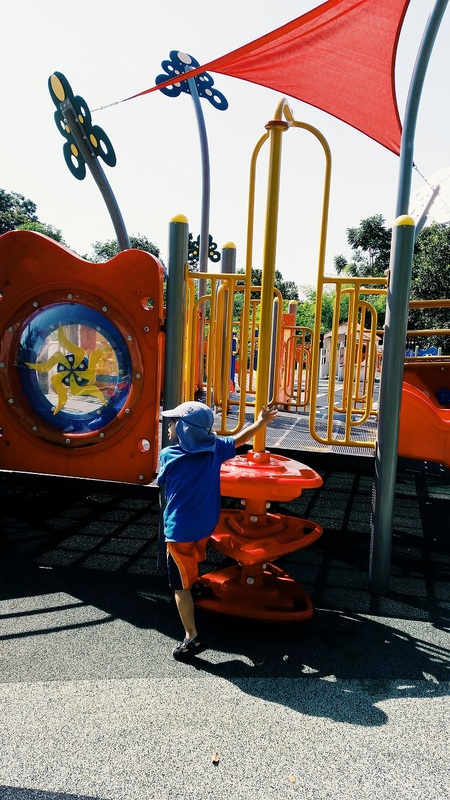 There's a new addition to the park called the Accessible Playground. The word extension is a misnomer as it's not right next to the existing Youth Park grounds itself but a far bit before it. Look for the sign Accessible Playground on the left while you're driving through and turn there. You could walk but it's going to be weary for little legs. 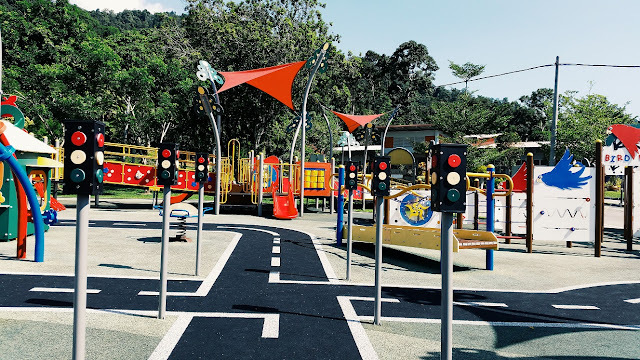 Looking at the new playground makes me proud of how inclusive Penang is. It's designed for easy wheelchair access with ramps across a large and very colourful area. The only downside that I could think of is that there aren't any trees to provide shade (thought you could argue that the roots might trip children over). Bubs eagerly climbing through the playground. It got hot quickly so Bubs was told to only play a round here before we headed over to the old children's playground. 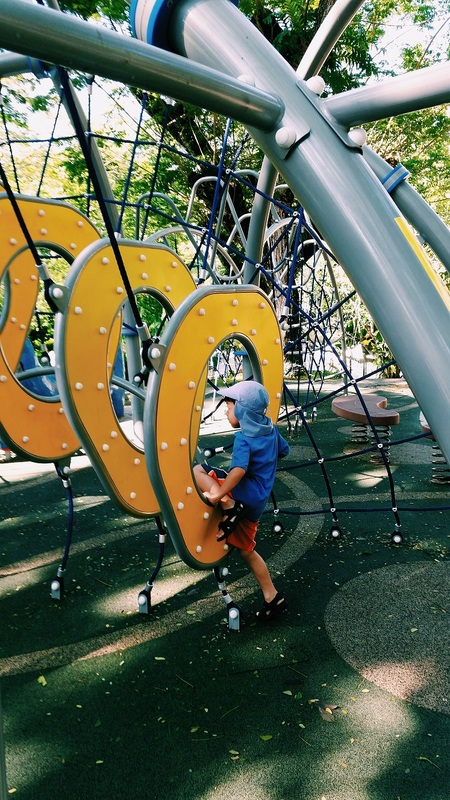 This time around, Bubs was attracted to all of the huge climbing structures in the playground. He was hesitant at first as they require a fair amount of dexterity with netting and frames much taller than his own height. It was a beautiful morning and the sun dappled grounds were filled with families. I've always loved the massive trees that tower above us and feel hugely appreciative towards the groundskeepers that put in a lot of effort into maintaining the cleanliness of the place. On the way back to the carpark, we walked past the reflexology path. Recalling how much it $#! @# hurt the last time I walked on it, I dared Bubs to go on it, dangling the promise of ice cream. "Without shoes, Mummy?" he looked wide eyed. "Du-uh, what do you think?" I felt gleeful that the tub of Baskin Robins would be all mine. 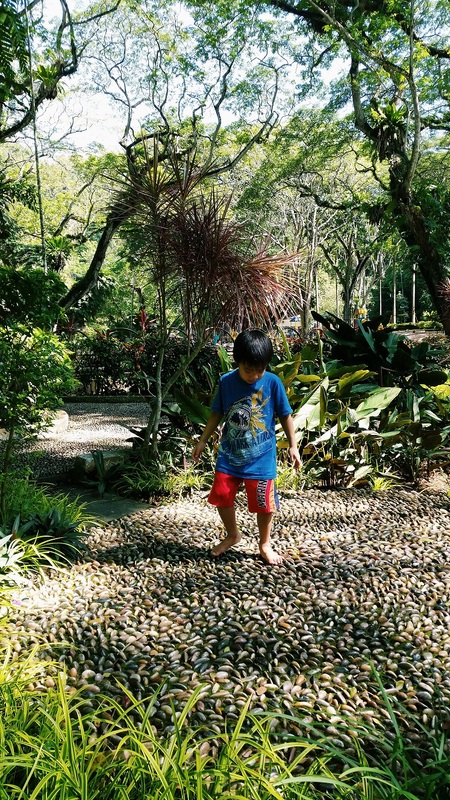 He immediately peeled off his shoes and stepped onto the stones, making a full round. "Look, Mummy, it doesn't hurt." he shouted excitedly. "I want ice cream now!" What the ... I took off my shoes and joined him for a few steps before screeching in pain and hopping off.